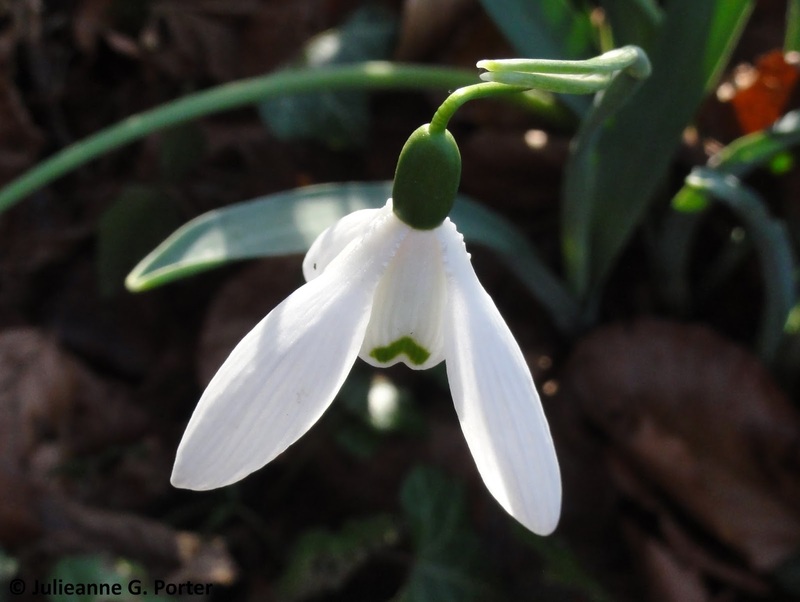 It's snowdrop time and this year Kevin and I visited the snowdrops Colesbourne Park in Gloucestershire, with our friends Kate & J-P. We were blessed with beautiful weather, and Colesbourne has a great collection with labels that enables you to get up close so you can notice the subtle differences between varieties of this favourite winter flower. 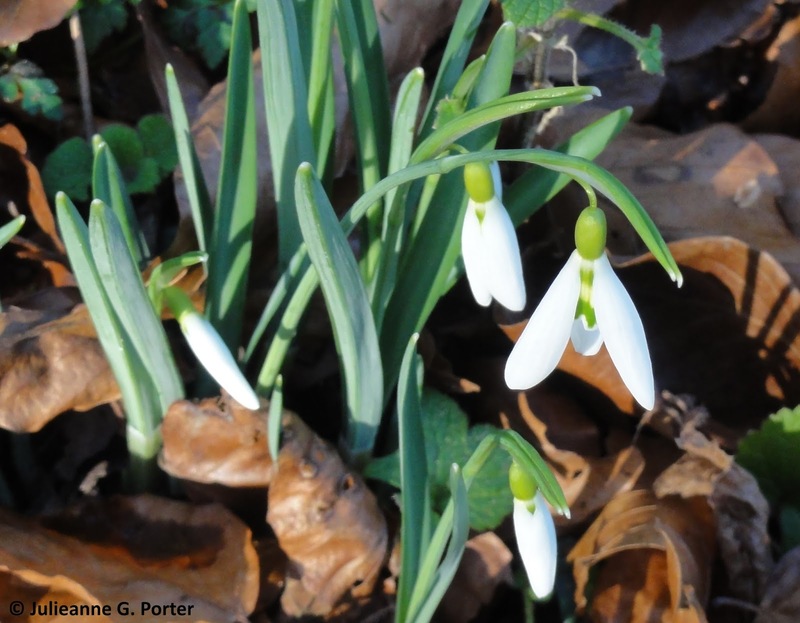 What follows are photos of some of the snowdrops I saw and which will hopefully give you an indication of these differences. 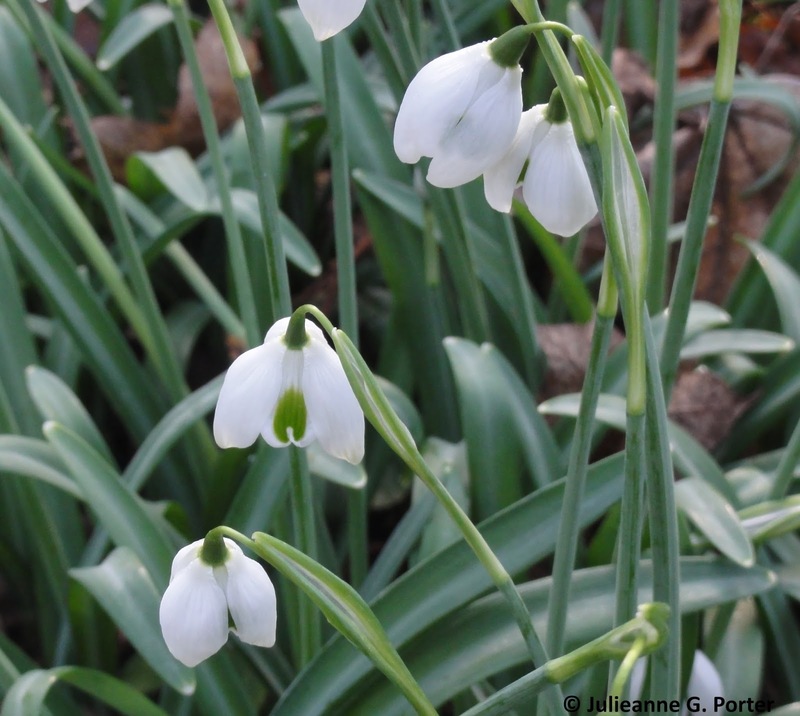 Contrasting G. Elwesii, taller, at the back, and G. Nivalis, the common snowdrop, in front. G. Lapwing, which I was very taken with. 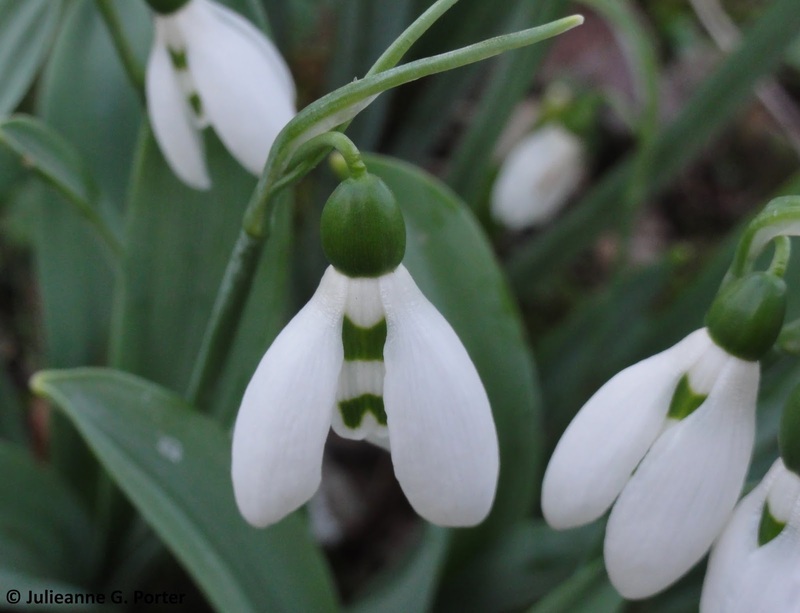 The markings made me giggle as I thought they looked like skull and crossbones! 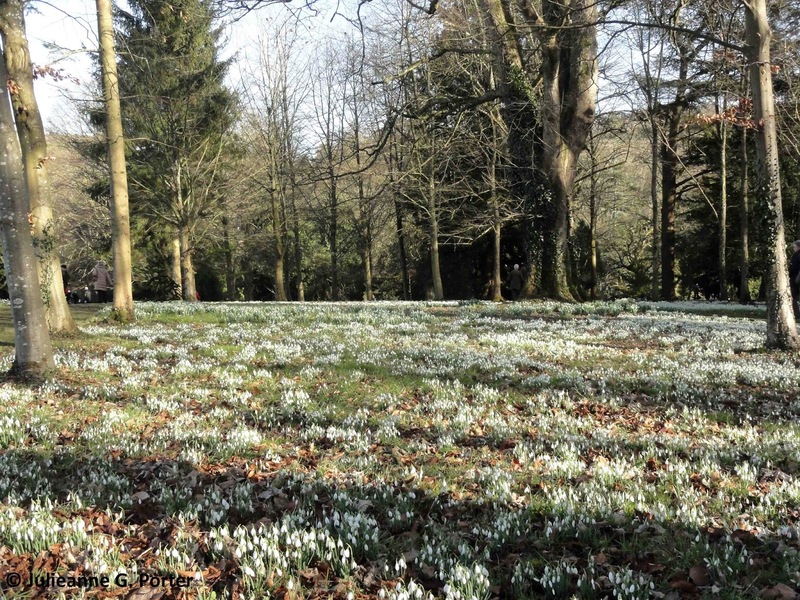 And, a carpet of snowdrops. 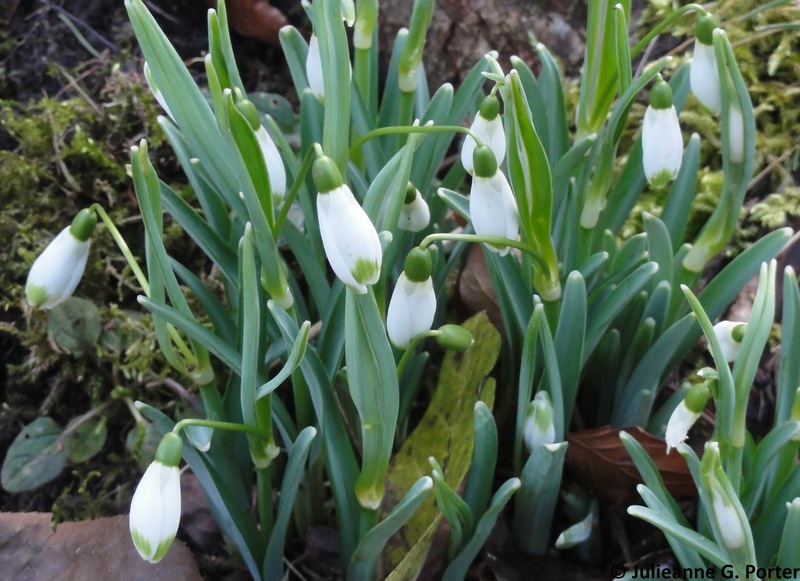 I picked up Galanthus Lapwing, of which i was particularly taken and at £15 was the most expensive snowdrop I've ever bought. I'm putting this in a pot to see if I can bulk it up over a couple of years, before planting it out. 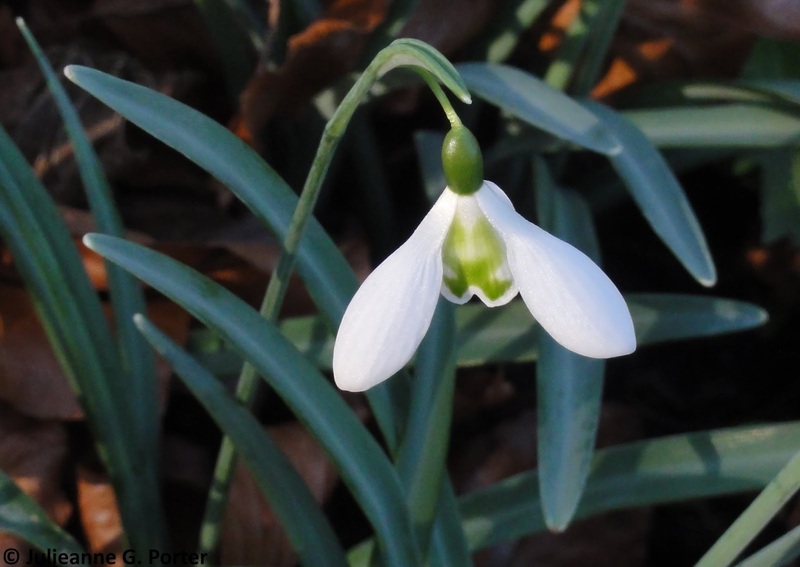 I also obtained the double Galanthus, Titania, and Iris histrioides 'Lady Beatrix Stanley'. 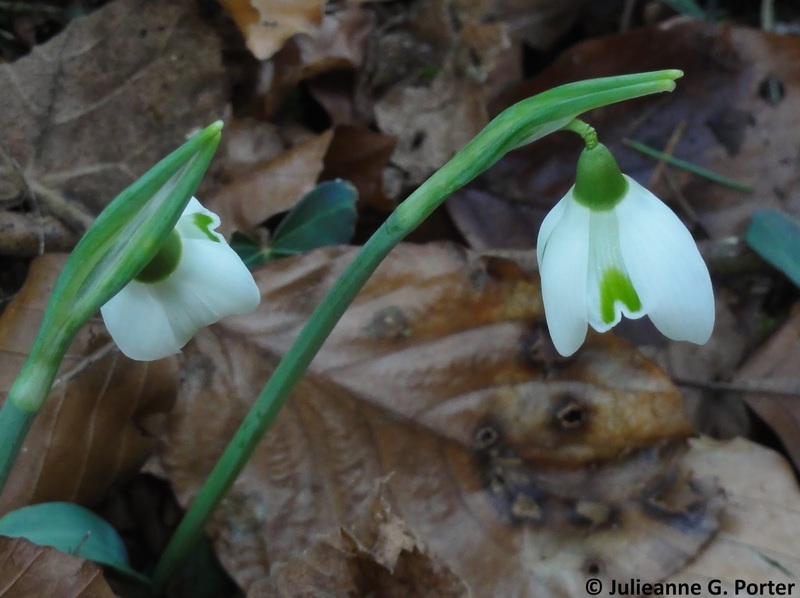 I noticed them selling Galanthus nivalis f. pleniflorus 'Bagpuize Virginia', of which I have about 15 now, for £20 each! I had no idea they were worth that much. 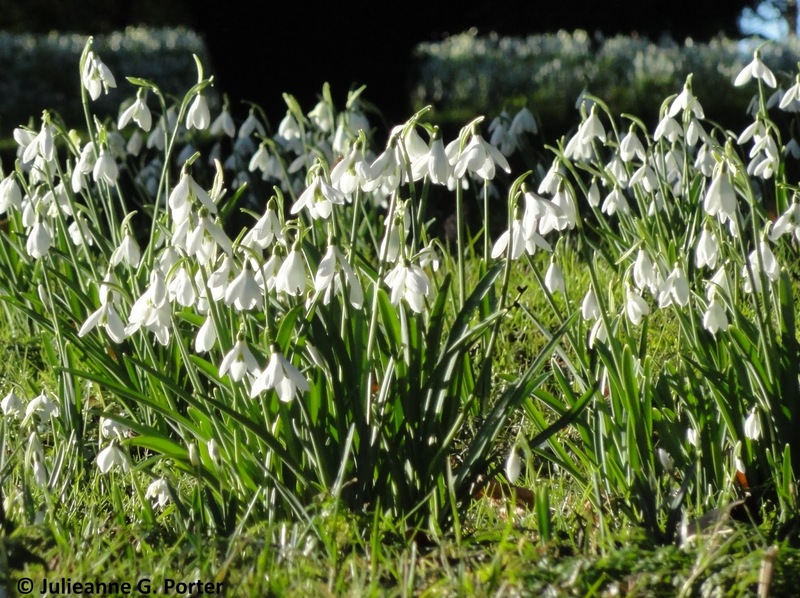 For me they are a happy reminder of regularly visits to my favourite Oxfordshire snowdrop garden at Kingston Bagpuize. 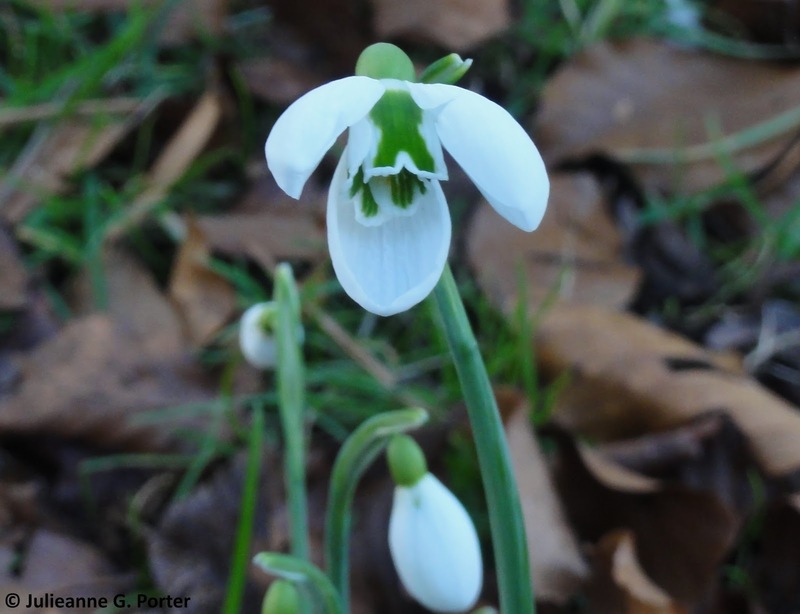 Colesbourne Park will be open for three more weekends for the 2015 snowdrop season if you would like to get up close and spot the differences between them yourself. 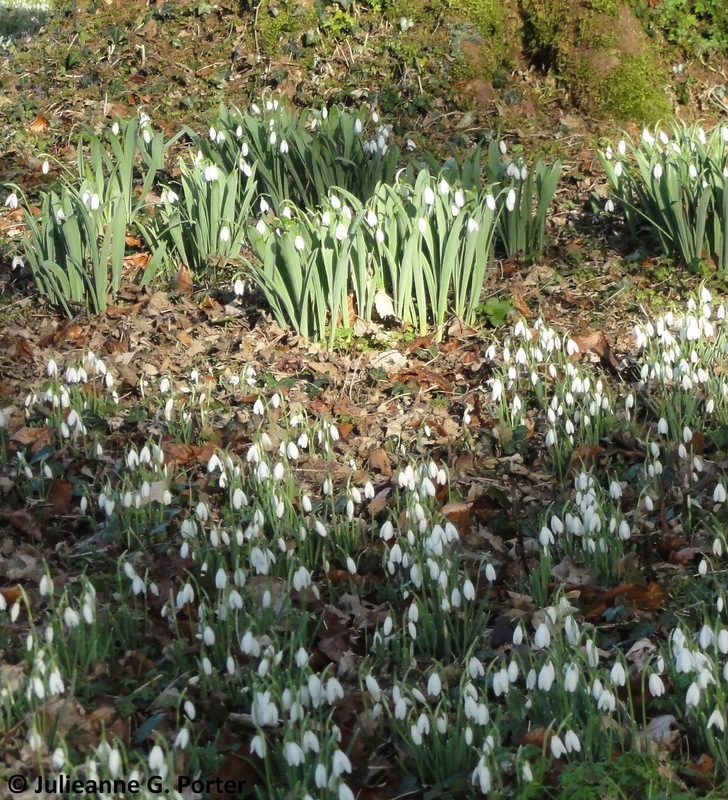 I love the snowdrops and eranthis growing together, must do that! I was planning on doing that, until I discovered Eranthis don't like acid soil...! But I might have to do some in pots - it's just so pretty. 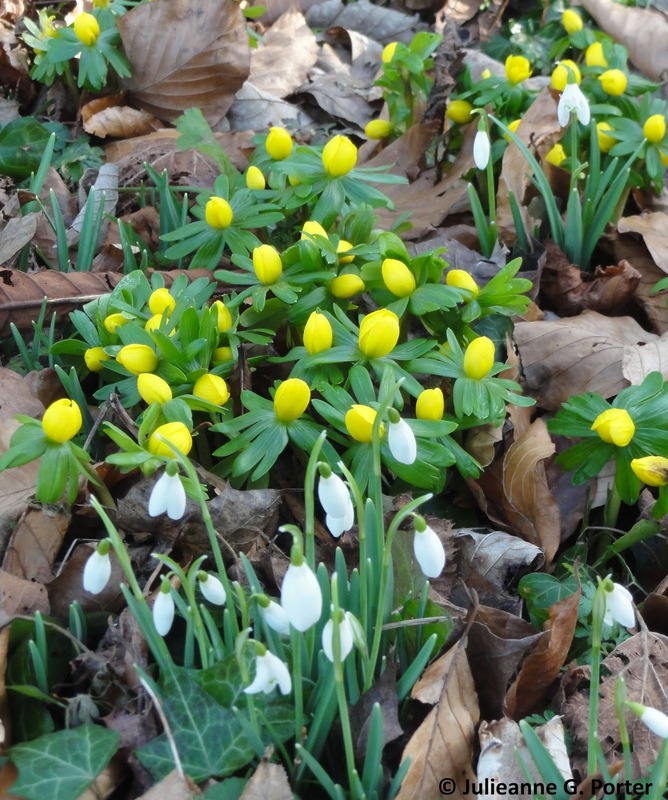 I think winter aconite makes such a good partner to snowdrops. Nearby it also partners with crocus, which looks effective too.